UFO Daze is held every year on the 3rd Saturday of July. 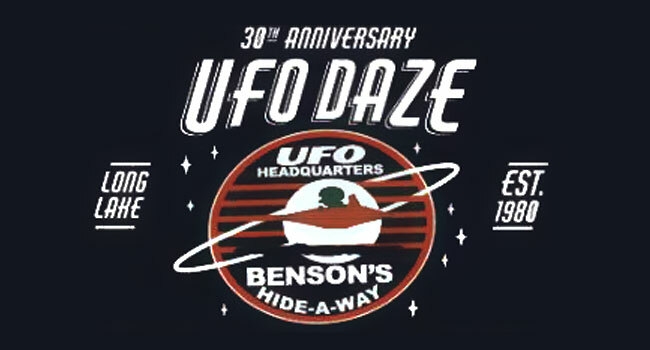 This year marks the 31st annual UFO Daze at Benson’s Hide-a-Way in the heart of Wisconsin’s Kettle Moraine State Forest. 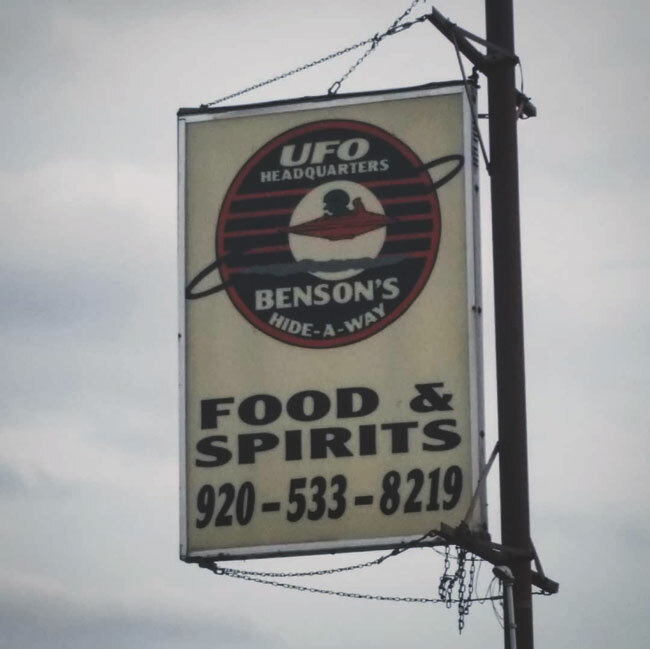 Benson’s UFO Headquarters is located on the shore of Long Lake in Dundee, Wisconsin. Bill Benson’s interest in UFO activity began when a crop circle appeared neared his home in 1947. Since then, hundreds of bizarre sightings and encounters have been reported in the area, from lights over Dundee Mountain or beneath the surface of Long Lake, to a wolfman at nearby Parnell Tower. Celebrate the weird and share your stories with like minded individuals at Bill Benson’s annual UFO Daze. Have you experienced something strange at UFO Daze or in the area of Dundee Mountain and the Kettle Moraine? Share your story in the comments below or send us a message.